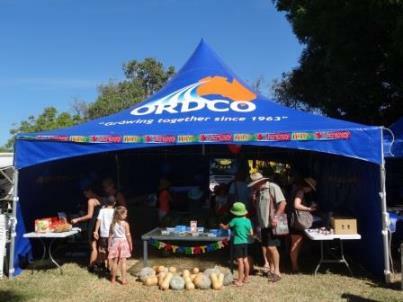 ORDCO has a strong local presence and is a proud supporter of numerous community events and organisations. ORDCO is the major sponsor of the Kununurra Agricultural Show and has had a proud affiliation with this event over many years. The show is held during July annually and is showcase for the area and its people and products. ORDCO also provides sponsorship to the Royal Flying Doctor Service, local rodeo and raceclubs, junior and senior sporting clubs and associations and local service clubs.